Most beef aficionados will be familiar with wagyu. For some it conjures up a vision of a fatty yet flavoursome cut of beef, and others have ideas of pampered cows being fed beer and listening to classical music. But let’s cut to the chase – why is the Japanese beef so special? Wagyu is an old breed of beef cattle originating in Japan. Pronounced ‘wag-you’ it literally means Japanese cow. Wagyu cattle are significantly different to the traditional breeds of British, European and Bos Indicus cattle that have been bred in Australia for more than 100 years. They are medium sized, hardy cattle with a great temperament and unique meat quality attributes. Wagyu beef is popular around the world because of its superior eating quality compared with other breeds of cattle. Not only does wagyu beef have higher levels of intra-muscular fat or marbling but the meat texture is finer, resulting in a more flavoursome eating experience. A super beef of sorts, wagyu is known for its marbled appearance and for being so tender it actually melts in your mouth. Where did wagyu come from? In Japan, there are four genotypes that make up the wagyu breed – Japanese Black, Japanese Brown, Japanese Shorthorn and Japanese Polled. Originally, the Japanese used wagyu as work animals, because of their robust stature and physical endurance. Over the years, the breed has become revered to the point that in 1997 the Japanese Government declared it as a national treasure and banned exports of the cattle to other countries. However some embryos and live cattle had already been exported from Japan to the US from where Australia sourced their first wagyu genetics in the early to mid-1990s. Since then, Australian producers have now grown their cattle numbers significantly to the extent that Australia produces more wagyu cattle outside of Japan. Most of the beef from this production is now exported, with a proportion being consumed here in Australia where demand is also increasing. Those in the know reckon wagyu is unparalleled in its taste. Its abundance of fat ensures a tender, juicy and flavoursome eating experience. The fat in wagyu has a melting point lower than the human body temperature – making it melt in your mouth. Myths abound of wagyu cattle being reared in veritable cow day spas, being fed gourmet food and drink, being massaged and even serenaded to produce better beef. While some producers do have unique ways of raising their wagyu, most are produced according to strict rearing guidelines. In Australia most wagyu cattle are fed on special rations to maximise the marbling. To qualify for wagyu certification in Japan, cattle have to be fed a special diet predominantly made up of grain, and bred on fattening farms where they’re given a name instead of a number. Wagyu have longer lives than other beef cattle, which also significantly improves the flavour of the beef – wagyu cows live for three years, whereas normal beef cattle live to about 15 months. 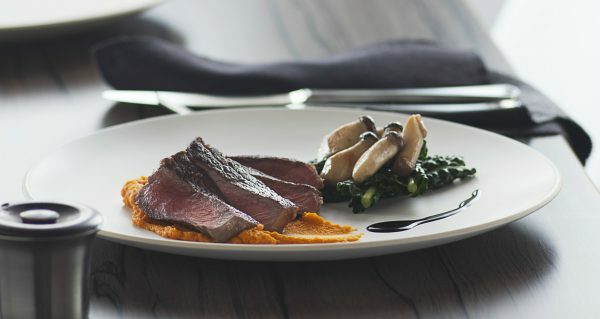 But wagyu is not only mouth-wateringly delicious, it’s proven to be good for you too. 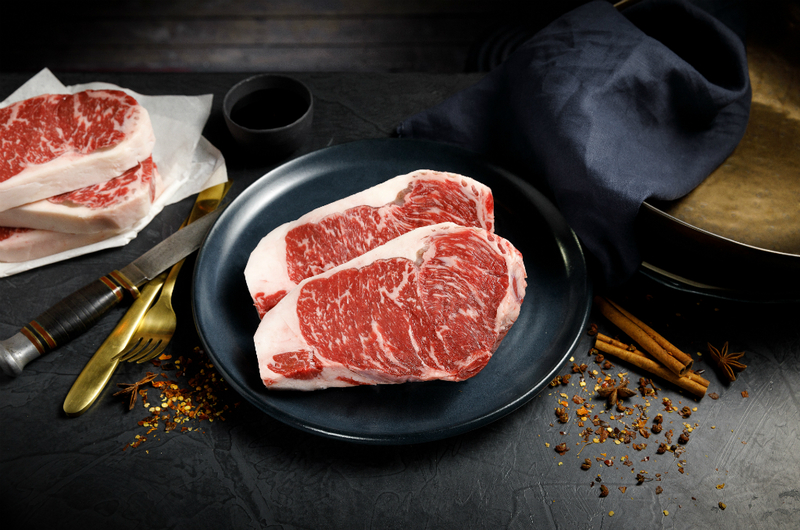 Wagyu has a higher amount of monounsaturated fats (the good fats) and omega 3 and 6 than other beef. It also has a different make up of fatty acid – stearic acid – which has little impact on cholesterol levels in the body. Wagyu is higher in conjugated linoleic acid, which is proven to bring immense health benefits. Take the steak out of the fridge about an hour before cooking to allow it to come to room temperature. This allows the meat to relax. You can trim any excess fat from the steak at this point, if required. Preheat a non-stick pan or bbq plate to a medium to high heat. No need to add oil or butter thanks to the high fat content. Apply salt and pepper to both sides of the steak. This will give the steak a caramelised outer layer when seared. Sear on each side to seal in the moisture. Cook for 2 to 3 minutes on each side, only turning once. Turn the heat down and continue to cook for desired doneness. Let the steak rest on a warm plate for five minutes, allowing the meat to relax and the juices to settle. Serve on a warm plate with your desired accompaniments. Grass-fed versus grain-fed beef: How does it affect the taste? Is it a cardinal sin to freeze steak?